Chairman Mao taught us, we should let comrades speak and then, mention if they have error so they can correct themselves. The Committee has given opportunity to comrade Kabir to submit his positions. It has been urgent to criticize his errors that has been expressed in those positions and manifested in his activities because if errors are piled up, in turn, may create serious end. There are two attitudes in accepting the criticism. One is to learn from that and correct errors, avoid future errors by learning from past errors, an attitude of honest, good and Marxist-Leninist comrades. On the other side, not sincerely accepting criticism, making self-criticism like Fazlu clique only for showing to pose as good, making conspiracy and clique to materialize own erroneous line, spreading rumor and slander, making faction, commit secret killing by being agent of domestic and international enemies and trying to make comrade arrested is the attitude of reactionaries and counterrevolutionaries. The central committee wishes comrade Kabir will take the first attitude and will not take the last mentioned attitude of the bourgeoisie reactionaries. The end of taking the last mentioned attitude is the end of history of Fazlu clique. Since after appointed in Payarabagan [A riverine forest area in southern Bangladesh where the first Base Area was established by the Proletarian Party of East Bengal in 1971—Translator], dogmatism was noted in comrade Kabir. Those were manifested through various reports and practices. In face of two fold pressure from the Awami League and the Pak military fascists, that dogmatism expressed itself as pessimism. That pessimism and rightwing attitude was expressed in his speech in the First National Congress of the Proletarian Party of East Bengal through following position: “Party has huge failure; from beginning to end, party has made left deviation” etc. He came to such conclusion because of dogmatic analysis of military and other lines. He was criticized in Congress and dogmatism was taken as the main danger of party. Comrade Kabir was appointed to merge with workers-peasants to eliminate dogmatism, not just to change clothing but to eliminate dogmatic thinking. Dogmatism is a method of thinking that starts from theory and confines itself in theory. The dogmatists deny the process of dialectic materialist process of knowledge. The dogmatists do not start from matter or particular condition but from theory or foreign experience and blindly impose solution of particular condition of foreign to own country’s problems. Philosophically what are dogmatists? When anyone gets in contact with object, in course of practice, that is reflected in brain through five perceptual organs. First, this is perceptual knowledge. Therefore, source of all knowledge is matter. It is the materialism of knowledge. There are differences among all the objects. That is why they have different existences. For example, Karim, Rahim, Abul everyone have different existences, so, we can recognize them. It would impossible to recognize them if they had no differences. Similarly, there are differences among different countries, problems of revolutions of those countries and parties of those countries. That is why they have different existences. That is, East Bengal is East Bengal but not India; revolution and Proletarian Party of East Bengal and that of India are not the same. This is called particularity of contradiction. Dogmatists do not reflect matter including this particularity and do not achieve perceptual knowledge from matter. They do not sum up the perceptual knowledge with the help of Marxism-Leninism-Mao Tse-tug Thought and make rational knowledge-theory-plan-general line, that is, do not raise perceptual knowledge to higher stages and follow dialectics of knowledge . The dogmatists start form theory and idea that is, pre-made idea and theory, accordingly view object and want to give solution of transformation of matter. That means, they give prominence to conscience, view conscience as object and want to provide solution of transformation of object by such conscience that is not related to that object. That is idealism . Thus, dogmatists do not go to conscience from matter, but go to matter from conscience and view matter according to conscience. According to them, matter is a complex of senses. It is idealism, so dogmatists are idealist. In place of matter-conscience-matter, that is, practice-conscience-practice, they follow the path: conscience (by not taking from matter but from formulae, quotation)-matter. Thus, they deny that the source of conscience is matter, which is like thinking of river without source and tree without root. Thus, the dogmatists completely abandon the dialectical materialist course of knowledge and become idealist and metaphysical. The dogmatists memorize and do leap service of some theories and formulae and think themselves as big scholar, raise their tail to sky and by mongering phrase, astonish those comrades who do not know theories. Consequently, greed for leadership and all-knowing scholastic mentality is created among them. The Chinese party was seriously affected by such dogmatists many times. All the dogmatists have inflicted serious losses to revolution of East Bengal and India. Chairman Mao said, “Many communists of China became revisionist by failing to combine theory with practice (by being dogmatist—Author)”. Comrade Kabir was given a guide line when he was appointed in Payarabagan. But when submitting report, he did not mention of applying the guide line but sent report filled with some quotations. Later he did not elaborately mention regarding important matters during the retreat of Front no. 2 from Payarabagan but wrote the whole report with comrade Asad. At that time, in making report, in brain, he did not reflect objective condition that is, our condition, people’s condition, enemy condition, raised problems, solution of those and result of application of central order, but submitted report filling it with some quotations and secondary points. Thus, dogmatism inside him was noted. The dogmatists do not reflect in brain the whole situation, that is, the contradictions inside matter, principal contradiction, principal aspect of a contradiction, outside condition that is its relation to other objects and its position. So, they become one-sided and disappointed. In face of serious pressure by the Pak military fascists and six mountains’ lackeys, comrade Kabir when being with comrade Masum, became disappointed and say such things like “We have no other way but establish contact with China-Burma-India, bring arms from there and arm peasants with those”. Comrade Siraj Sikder wrote letter to him by advising to keep his brain cool, reflect matter properly and leave dogmatism. In congress, the big theories and phrases of comrade Kabir amazed those comrades who do not know theories and some of them unconsciously supported those. Thus, those comrades who do not know theories tailed behind dogmatism. In Chinese Communist Party, Chen Tu-hsiu was such type of dogmatist. At last in 1927, in face of severe attack by Chiang Kai-shek, he became pessimist about revolution and expressed himself as rightist. He became agent of Chiang by being Trotskyite. Li Li-san and such other dogmatists had more than once assumed power of the leadership of the Chinese party and made left deviation, Chingkang Base Area was lost, hundreds of thousands comrades lost their lives and party had to carry Long March. If congress had accepted the report of comrade Kabir, it would mean that party had become rightist and pessimist. And inevitably party would turn into tail of the bourgeoisie. That is why the dogmatists should not be kept in central, regional or any level of leadership. In complex situation of revolution, they by being pessimist, become rightist, or by doing left adventurism, they inflict huge losses to revolution. This is why comrade Siraj Sikder did not appoint comrade Kabir as the convener of District no. 4 when he was given the task to make the convening committee of the same district. First comrade Kabir showed much aspiration to make joint area by including his area and the area under comrade Jhinuk. Comrade Siraj Sikder asked them to form convener committee and make report. But comrade Kabir requested comrade Siraj Sikder to make them convener committee. Comrade Siraj Sikder made them a convener committee by taking comrade Kabir as member and another one comrade as convener. But after the formation of that committee, comrade Kabir asked for dissolving his area connection to that and brings that directly under center. He complained that the cadre history of Jhinuk was not correct, comrade Siraj Sikder use to be influenced by others, that means, as comrade Kabir had criticized someone close to comrade Siraj Sikder, so, comrade Siraj Sikder, in retaliation, had not make comrade Kabir convener. Comrade Kabir expressed such attitude. He expressed such attitude that each area should work independently despite being in a single convener committee (which is actually fortress making mentality) and showed negligence and non-cooperation in taking approval from the convener in various works and sending important documents to him/her. Very often comrade Kabir says that many are theoretically low standard, that is, lower than him, so, he should be appointed in higher post; he expressed such attitude. Recently comrade Kabir proposed to form a Writer Board  under the Central Committee to write various documents and include senior comrades in it. That means, abstractly it has been expressed that he should be also included. Thus, we see, comrade Kabir possesses greed for post and leadership. The Fazlu clique wanted to overthrow comrade Siraj Sikder via conspiracy and clique by saying him utter reactionary. The real objective of saying of forming writer’s board by comrade Kabir is to confine, inactivate or completely deduct the role of comrade Siraj Sikder. His that attitude was expressed in his writing, “It is difficult for you (Siraj Sikder) to write so many things. Secondly, party should not be dependent on individual or party should not be individual-centered.” He denied the role of the Central Committee too by his this saying. Khrushchev had overthrown Stalin by saying about joint leadership and opposing Stalin’s so-called individualism. Liu Chao-chi had made hundreds of obstacles in extensive propagation of Works of Chairman Mao and publicity and application of his Thought so that people may not be familiar with the Thought of Chairman Mao, he may not achieve confidence and popularity among huge party comrades and people, because in that case, it will be easy to overthrow him and capture power. By saying those things, is not comrade Kabir too unconsciously expressing the attitude of Liu Chao-chi? That is, has not he expressed such attitude to spread the role of Comrade Siraj Sikder as less a possible, so that his popularity will be less, he will have less confidence of cadres and easily he can be overthrown to capture power? The meaning of creating public opinion on the side of comrade Siraj Sikder is to create public opinion on the side of revolutionary leadership, sustaining power of revolutionary leadership of party and against reactionary, counterrevolutionary and bad elements. This is why Khrushchev-Liu Chao-chi and their apprentice Fazlu were against the popularity of revolutionary leadership and they made all sorts of efforts to reduce it and reverse it. The reactionaries are disturbed by the popularity of revolutionary leadership. That attitude is expressed in the words of comrade Kabir. It is mentioned in our constitution, and Chairman Mao said, personal initiative and collective leadership both should be maintained. Do not overemphasize one while downplaying another. Variants of revisionists and reactionaries oppose personal initiative of revolutionary leadership, and in the name of emphasizing on collective leadership, actually they overthrow revolutionary leadership and seize counterrevolutionary power. There, they restore main role and autocracy of ‘particular individual’ in counterrevolutionary activities and discard democracy and collective leadership. Khrushchev, in the name of collective leadership, actually discarded democracy and collective leadership and established autocracy. Fazlu clique also wanted the same. On the other side, revolutionary leadership give opportunity to fully develop individual initiative and maintain collective leadership and democracy. The Proletarian Party of East Bengal is giving full opportunity of individual initiative of comrade Siraj Sikder in party, while at the same time, collective leadership and democracy is being implemented in Central Committee by approving his directives, his and others’ proposal submitting, discussion, review, amendment of those through democratic method. 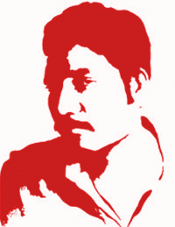 Comrade Kabir, by not mentioning political, organizational, military and ideological errors of comrade Siraj Sikder and his related comrades, have grasped rumors, slanders, bad namings coming from second hand and those who are discontented on party leadership because of clique and personal reasons and personal interest (Comrade Biplob). If Fazlu-Sultan’s rumor-slander and bad naming was true, they would not make conspiracy and clique, spread rumor-slander, do bad naming, make faction, nor would they make conspiracy to kill and make arrest. In that case, they would stay inside party and carry struggle via democratic way. They made conspiracy and clique because they will not sustain face to face in front of truth; they made conspiracy of secret killing and making arrest comrades. If rumor, slander and bad naming by clique cannot be ruled out, so that is true. Then, why Fazlu-Sultan made clique? Can comrade Kabir answer to that question? By saying “We cannot rule out”, comrade Kabir proved that this rumor is not rumor to him, slander is not slander, bad naming is not bad naming, that means, it is in his mind also. Does not it mean that he obeys the manifesto of the clique despite he has not joined the clique organizationally? It means, he is ideologically agreed to the clique though not affiliated organizationally. Being ideologically agreed, not being organizationally united means not joining because of personal interest, because he/she will not be leader so he/she did not join. Deben-Bashar and many others, despite saying us ideologically and politically correct, do not joint us organizationally because they will not be able to be leader. Does not his statement prove that comrade Kabir has not joined Fazlu clique because he (Kabir) will not be able to be leader or it is not possible to take Fazlu clique as leader (perhaps because Fazlu clique does not know theory)? Believing second hand rumor and slander is idealism. The dogmatists are idealist. By believing second hand criticism, comrade Kabir showed idealism. Comrade Kabir showed his dogmatism by not reflecting in his brain the present condition of the Proletarian Party of East Bengal and that of the society of East Bengal but by proposing to produce big irrelevant articles in blind following of Chinese Party. The current problem of the Proletarian Party of East Bengal is to carry anti-clique struggle and rectification campaign and make it a success. In the course of that rectification campaign, cadres will master dialectical materialist work-method. Our task, aim and about the role of various classes at the present stage of East Bengal society is clearly expressed in our political documents, especially ‘Finish the unfinished national democratic revolution’ document. It is proven correct in practice. At present, we need to produce documents on anti-clique struggle, rectification campaign and ‘Socialism’ and expose the deception of the so-called socialism of the reactionaries. By leaving those real conditions, comrade Kabir, by saying of producing some dogmatic documents, have abandoned the real condition of organization and society. All of our comrades, even people know that Mujiv-ism is not originated from Mujiv’s brain but is a creation of Indian Expansionism. That is national treachery and fascism. On the other hand, strategy and tactics of national democratic revolution of East Bengal (till now) is originated from comrade Siraj Sikder’s brain (on the basis of matter to conscience and applying that from conscience to matter). If comrades think so, it shows confidence on leadership and reflection of truth. How can it be blind following? Actually comrade Kabir meant that those comrades who chant Long Live comrade Siraj Sikder and are confident on comrade Siraj Sikder are blind follower, they act blindly etc. that means, we should not popularize comrade Siraj Sikder. Those words are nothing but the echo of the fazlu clique. In one place, comrade Kabir wrote that we must overcome our theoretical limitations. Is there any theoretical limitation of the Proletarian Party of East Bengal? Have there any problems raised on the question of revolution of East Bengal or of party-development, the solution of what the Proletarian Party of East Bengal could not provide? Party gave solution to each and every raised problem. Comrade Kabir is closing his eyes, so he does not see the solutions of the raised problems in the course of development of party and that is why he says like this. The meaning of discovering such imaginary limitations is to prove the disability and disqualification of leadership and the Central Committee. Regarding lack of leadership and successor of leadership, comrade Kabir showed totally dogmatist attitude. In order to overcome lack of leadership and make successor, he mentioned methods like “making Board of Writers, theoretical research, study, writing theoretical research articles on various problems of leadership” etc. He further said, just practice is not enough but main question is to sum up the experience of practice to raise it to theoretical level. His those arguments are like Liu Chao-chi’s ‘How to be a good communist by reading books at home’. The fundamental question of knowledge is not summing up experience to raise it to theoretical level. That is half of the process of knowledge and less important part. The fundamental problem of knowledge is to apply theory in practice, applying theory in changing matter, transform matter accordingly and verify it. The process of applying that is the most important stage of process of knowledge. In this stage, the main problem knowledge is determined whether or not that is correct. Therefore, main question is application, verifying theory in practice and transform matter. Comrade Kabir has made the dialectical materialist epistemology upside down. Marx said, “Philosophers have interpreted the world, the question is to change it.” So, revolution is made not to produce theory, nor it is the main question of revolution, but it is to change the world. The proletarians do not make revolution to produce theory but to change the society and world. According to the words of Comrade Kabir, revolution is being carried to raise practice to theoretical level. His that saying is totally anti-Marxist. It is dogmatism. The best way of training and bringing up comrades is not research (which produce the reactionary academicians, specialists and revisionists) but appointing everyone in great mass struggle of revolutionary practice and giving full opportunity to develop creativity in practice. Comrades will come out from here who are able to combine theory with practice and creatively apply Marxism to solve the problems of revolution. Comrade Kabir wrote, “Party minus Siraj Sikder = approximately 0”. That equation is not correct. We should not think, “Without someone the earth will stop moving”. That means, this conception is completely anti-Marxist that without comrade Siraj Sikder, East Bengal revolution will cease to exist and party will collapse. As an inevitable end of motion of East Bengal society, revolutionary party and leadership will develop. In absence of comrade Siraj Sikder, sincere revolutionaries will take responsibility and carry party and revolution forward according to their own qualifications. On leadership and successor question, comrade Kabir manifested historical idealism in place of historic materialism, that is, such theories like there can be no social change and revolution without particular individual, successor will come out not from class and national struggle but from ‘Writers Board’ and closed door house. First he wanted to completely deny the contribution of comrade Siraj Sikder and then, by saying that without Siraj Sikder party is zero, he refuted his own argument. His, the two mutually opposite arguments are wrong. He expressed the attitude like Liu Chao-chi of being a good communist by producing articles and being confined in laboratory. The successor of comrade Siraj Sikder will come out in the course of mass struggle, not through Writers Board. Lenin, Stalin, Mao Tse-tung have not come out from Writers Board. Nor comrade Siraj Sikder has come out from Writers Board. All of them have come out through stormy class and national struggle. Writers Board produces Kautsky, Bernstine, Khrushchev, Liu Chao-chi, Huq-Toha, Deben-Motin, Kazji-Rono and other revisionists. Therefore, the charge of comrade Kabir is totally wrong that comrade Siraj Sikder has lack of initiative in developing creativity of comrades. But really comrade Siraj Sikder has opposition in developing dogmatist initiative. Chairman Mao said, “There is a real theory that comes from practice and is tested in practice.” Whoever produces document including such theories, party will accept that. So, the meaning of the charge that there is no democracy in publishing documents is that comrade Kabir’s document is not published. Comrade Kabir wrote two documents that starting from theory confine itself in theory. That means, he writes document by not achieving experience through guerrilla war, summing that up to produce general laws and applying that to verify. About publishing different documents, comrade Kabir said about developing democracy. That means, he wanted to say that why he is not given opportunity too. He made this charge by giving indication to comrade Taher and Comrade Shahid too. Documents on behalf of party must be approved by the Central Committee and for Lal Jhanda, it must be approved by the editors of that. Individually any one can publish documents, but not in party’s name. As party has not published dogmatist document, comrade Kabir is discontented over party. He demands democracy in document publishing and want to form Writers Board etc. Recently when reporting work, comrade Kabir, despite mentioning about the correctness of party line of working among peasants by being peasant and line of national enemy annihilation, he planned for attack on a Police Outpost (containing 7/8 Police). Without carrying national enemy annihilation, going to such attack is adventurism. The dogmatists, thus, easily make left deviation and do adventurism. Eventually, they embrace frustration and abscond-ism and finally they become rightist. The dogmatists, by mongering big theories, astonish comrades who do not know theories. So, the later ones tail behind them. In this way, it arises inside party as a serious danger. After Payarabagan, comrade Kabir adopted abscond-ism and became frustrated and finally became rightist, said party success as absolute failure and attacked party’s correct line as left adventurist. Inside comrade Kabir, there is possibility of repeating the dogmatist cycle: left adventurism-abscond-ism-rightist pessimism. Recently in military case, his left adventurism has been manifested in attacking Police Outpost. One’s world outlook is reflected in each and every writing-word-activity. So, it is not possible to hide own actual character. Comrade Kabihir, though his writings, words and activities have manifested his world outlook. He is dogmatist, so idealist and metaphysical. From that arises his attitude of thinking himself scholar, able for leadership and greed for leadership and post. Conclusion is made on the basis of analysis; knowingly or unknowingly, analysis is made on the basis of world outlook. In the world, basically there are two world outlooks: Proletarian and Bourgeoisie. So, the identity of conclusion, that is, the same conclusion proves the identity of the same world outlook. The similarity of the conclusion made by Comrade Kabir with that of Fazlu clique on various questions proves the identity of their world outlooks. That means, both of their world outlook is idealism and metaphysics, which is centered on individual interest (greed for leadership, post, name and fame and other individual interest). The past reactionary lumpen life of comrade Kabir, his petit bourgeoisie class origin and the above mentioned errors are very serious in this case. Therefore, for the sake of revolution, party and masses, comrade Kabir should be aware of himself and comrades should be very much aware of comrade Kabir. Otherwise, he can make any grave loss to revolution. 1) The dialectics of knowledge is to raise perceptual knowledge to conceptual knowledge and apply the later to revolutionary practice. Raising perceptual knowledge to conceptual knowledge is the first and less important stage of the whole knowledge. The most important stage of the whole process of knowledge is to apply conceptual knowledge in revolutionary practice and verify that knowledge through persisting in transforming matter by that. 2) The idealists give conscience at first place and see conscience as matter. A tree arises in imagination, so, I saw the tree outside. On the contrary, materialists give matter at first place, and conscience is the reflection of matter in brain through five perceptual organs. Matter exists regardless of its existence in thinking or not. It means, tree exists regardless of anyone think about it or not. Conscience or idea about tree generates after viewing tree, that is, tree is reflected in brain through eye perceptual organ, then tree is viewed and idea or conscience about tree emerges. 3) In face of severe pressure, our guerrillas were divided, scattered and at last withdrawn. So, we could save huge number of guerrillas and cadres. On the contrary, if the theory of comrade Kabir was applied, the meaning of that would be mobilizing our weaker guerrillas to confront the six mountains’ lackeys and finally being smashed. 4) If any particular individual inside the central committee of the Proletarian Party of East Bengal is unable to produce document, then, Writers Board will be formed. For example, a commission was formed under the Central Committee to produce the History of the CPSU (B). At present, in China, there are Writers Groups under many factories and Revolutionary Committees. Their tasks are to collect information and research like an Editorial Board. Those are formed because those are not possible for any particular individual.